When thinking about private pilots who fly themselves around the country, most people conjure up images of millionaire playboys, movie stars or high flying businessmen (no pun intended) jetting around in high-tech luxury learjets. However, flying an airplane purely for fun does not have to be solely the hobby of the rich and famous. Last summer I started to learn to fly microlight aircraft with Mainair Flying School based at City Airport & Heliport in Lancashire. The syllabus followed by microlight pilots in the UK is the National Private Pilot’s Licence (NPPL), which involves five written CAA examinations (six if you count the Radio Telephony licence, which is essential for operating an aircraft’s radio during flight) and a General Skills Test with an examiner. In addition, there are a minimum number of hours that must be flown as well as solo and navigation flights, before a licence can be issued. Full details of the requirements of an NPPL can be found on the British Microlight Aircraft Association (BMAA) website. In the last decade, microlight aircraft design has moved on leaps and bounds. While flexwing microlight are still popular (and the cheapest to buy or rent), fixed wing microlights, which look and operate very similar to the light aircraft manufactured by large companies such as Cessna and Piper, have entered the market. Many flying schools operate fleets of microlight aircraft, as they are typically much cheaper to purchase and more economical on fuel than their bigger brothers. Flying is flying and if you qualify for a private pilot’s licence in a fixed wing microlight, conversion to the larger light aircraft typically involves a few extra hours training to become competent. In the US, many of the smaller aircraft fall within the light-sport aircraft category and while we in the UK do not use that description, it is actually a really accurate way to describe microlights. Being a pilot is a significant responsibility, there are not just passengers to think about, but other pilots in the sky as well as people and property on the ground. That said, flying for fun is….. fun! Some call it a sport, others call it a hobby, however all the pilots I know fly because it really is an incredibly fun thing to do. Qualifying to fly a microlight is not exactly cheap. 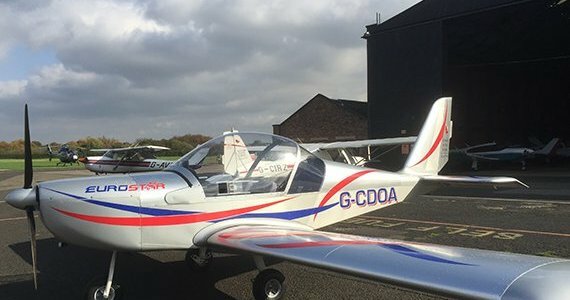 The BMAA estimate budding pilots should budget somewhere between £3,500 – £4,500 and qualification is definitely achievable within that amount, but we all learn at different rates, therefore it can invariably be more than £5,000 for some student pilots. Once all the exams and tests are passed and the required number of hours have been logged, the CAA will furnish the newly qualified pilot with their licence. After that, microlight flying becomes significantly more affordable; comparable with other hobbies, such as attending premier league football matches. Private pilots can hire a fixed wing microlight aircraft for as little as the average monthly Sky TV monthly subscription and the CAA allows costs to be shared with passengers, which can help to take the sting out of flying expenses for pilots on a tight budget. While microlight aircraft can only hold a maximum of two people (pilot and passenger), as well as having a maximum take-off weight of 450kg (or 472.5kg if it has a recovery parachute system fitted) they can still fly for over 400 miles or up to six hours on a full tank of unleaded fuel, which means that they are suitable for touring all over the UK and make short hops to Europe as routine as a flight to any airfield. It is also worth noting that microlights do not need to land (or even be based) at airports. They are designed to operate from grass strips and this means a suitably flat farmer’s field is just as adequate as an international airport for microlights. I once asked a fellow student pilot why she wanted to learn to fly, her answer? 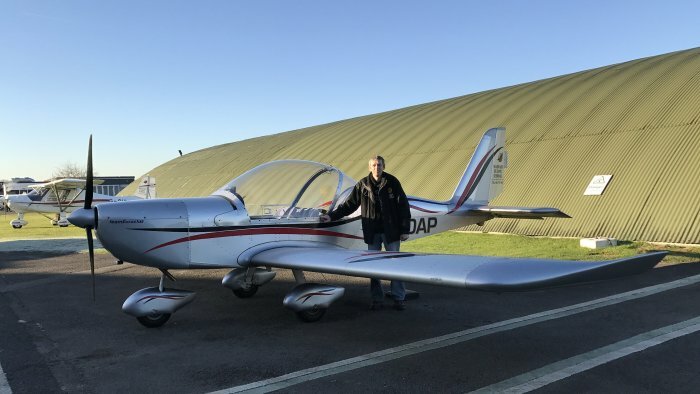 “Why not?” So if you want to see what all the fuss is about, get down to your local airfield and visit a few of the flying schools to ask about a trial lesson. A half hour trial lesson in a microlight can cost as little as £50, but be warned, it is addictive! Have fun!